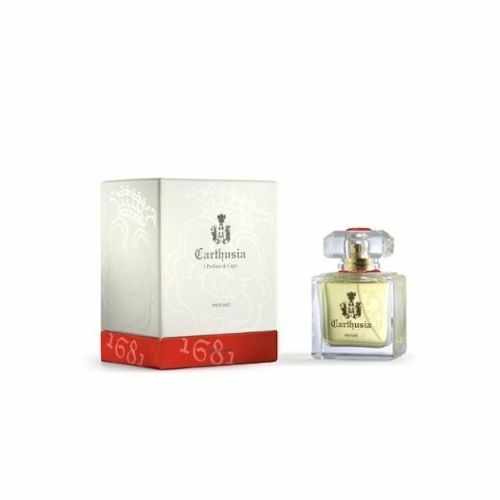 Carthusia Io Capri Parfum is a scent dedicated to the goddess, in whose honour, Emperor Tiberius built one of Capri's most important imperial villas. Io is both modern and sophisticated. Wild Fig Tree fuses with the scent of warm tea leaves to create a perfume that is wonderfully spicy and magically fresh. This unisex fragrance is best suited to those who enjoy wearing balanced, spicy perfumes that have a refreshing twist. Io Capri Perfume is a highly concentrated version of Carthusia's Io Capri Eau de Toilette so it should be applied sparingly. Often referred to as a happy, decisive aroma. Carthusia Io Capri Parfum is a scent dedicated to the goddess, in whose honour, Emperor Tiberius built one of Capri's most important imperial villas. Io is both modern and sophisticated. Wild Fig Tree fuses with the scent of warm tea leaves to create a perfume that is wonderfully spicy and magically fresh. This unisex fragrance is best enjoyed by those who enjoy wearing balanced, spicy perfumes that have a refreshing twist. Io Capri Perfume is a highly concentrated version of Carthusia's Io Capri Eau de Parfum so it should be applied sparingly. Often referred to as a happy, decisive aroma. Spray Carthusia Io Capri Parfum onto the pulse points.